GLORY Kickboxing makes the promotion’s inaugural journey to China on Saturday, Oct. 14, for GLORY 46: China. The GLORY world middleweight title is on the line when champion Simon Marcus makes his first defense against Brazilian challenger Alex Pereira. 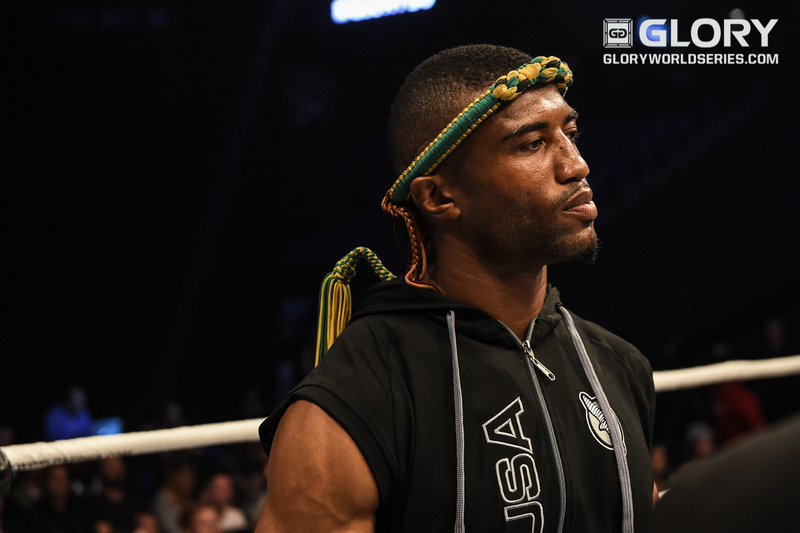 Marcus reclaimed the middleweight crown with a close victory in the rubber match with Jason Wilnis at GLORY 40. Pereira knocked out Maycon Silva in the second frame to defend his WGP Kickboxing 85-kilogram title outside of the promotion in August. In the night’s Super Fight Series headliner, GLORY heavyweight champ Rico Verhoeven takes on former UFC title challenger Antonio “Bigfoot” Silva in a non-title affair. Verhoeven has won 13 straight fights in GLORY, with his lone defeat in that span coming outside of the promotion against Andrey Gerasimchuk at Kunlun Fight 15. Silva makes his kickboxing debut as a heavy underdog. In the night’s featherweight contender tournament, Chinese GLORY veterans Chenchen Li and Chenglong Zhang return in their home country against Japan’s Masaya Kubo and New Zealand’s Quade Taranaki, respectively. GLORY features a professional Sanda bout between highly touted Chinese fighter Hongxing Kong and prospect Yang Sun. Kong, the more experienced fighter, holds a victory over Saenchai, one of the greatest Muay Thai fighters of all time. Elsewhere on the card, top-10 featherweight Petchpanomrung Kiatmookao takes on China’s Lei Xie, Shanghai Gao meets short-notice replacement Alan Scheinson, and lightweight Qinghao Meng fights German Pascal Schroth. The GLORY 46 SuperFight Series airs at 6 a.m. ET on UFC Fight Pass. The main card airs live at 9 a.m. ET on ESPN3, Fox Sports Africa, Fight Network (Canada), OSN Sports (Middle East), Sky (New Zealand) and GLORY pay-per-view (International). The event airs via tape delay at 10 p.m. ET on Sunday, Oct. 15, on ESPN2. GLORY middleweight champion Simon Marcus defends his title against challenger Alex Pereira. Can Marcus hold onto the belt in his second reign as champ, or will Pereira play spoiler? Marcus has been among the best of the middleweight division for many years. He recaptured his belt in a split-decision victory over Jason Wilnis at GLORY 40. The fight went back and forth from start to finish. Wilnis put on the pressure in the middle rounds and finished the fight strong, but he wasn’t rewarded with the decision. The judges adored the middle kicks from Marcus, his work from the outside, and his knees in the clinch. Marcus was hit plenty of times from Wilnis throughout the bout. The fight was close, but it shows more about how deep the middleweight division. With that said, Marcus’s deficiencies are well known. He can get backed into the ropes and not move. He’ll stand there and look to counter with his chin high and his hands down. Marcus will throw plenty of kicks, but he will also eat his fair share. Against Pereira, Marcus won’t necessarily have to deal with the same issues Wilnis brought to the table. However, there will be some new problems that the Brazilian challenger can offer the champion. 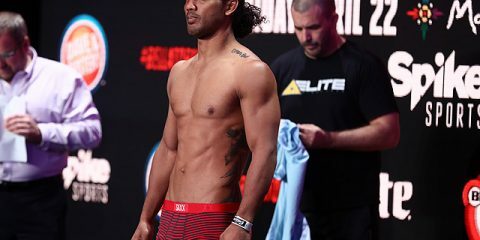 Pereira is a top-caliber middleweight who holds victories over Israel Adesanya, Dustin Jacoby and Sahak Parparyan. The 30-year-old defended his WGP Kickboxing belt in his most recent outing in September. He fell short in his bid for the GLORY 40 contender tournament crown, but the previous contender tournament winner earned the title shot over eventual winner Yousri Belgaroui. Belgaroui has since proven his place as the No. 1 contender with a stoppage win over former champ Wilnis. Pereira landed the cleaner, harder shots in the fight, but Belgaroui’s output and pace were too much for the Brazilian. Pereira will have a reach advantage, but his most important edge needs to be his boxing and use of diverse attacks. If Pereira chooses to solely use his hands against Marcus, then he will have trouble taking the volume Marcus is going to be throwing from the outside. Just like in the Wilnis fight, Marcus will look to engage on the outside and break Pereira down with kicks to the body and well-timed knees inside. Pereira will look to pressure and counter with big left hooks and a solid one-two combination. If Marcus can keep Pereira on the outside and keep the strikes flowing, then he stands a chance to go up early on the scorecards. Pereira is always dangerous, though. Marcus has shown some drawbacks in his defense against boxing combinations over the last few years, including in his shocking upset loss against Fang Bian. Marcus should be the favorite to defend, but this fight is pretty even in every facet of the sport. Pereira is in an elite group of four or five middleweights at the moment. If history is evidence of how this fight will play out, then either man could have their hand raised. With some hesitation, let’s go with Marcus to defend his title in a close fight. 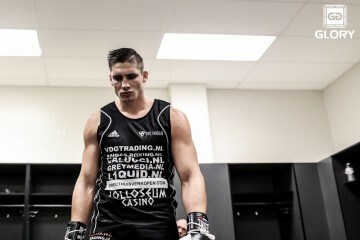 Rico Verhoeven takes on MMA fighter Antonio “Bigfoot” Silva in a non-title bout. Is this a viable fight, or has the need for super fights driven GLORY to feature a mismatch? Will Verhoeven continue his lengthy winning streak inside the promotion, or can Silva shock the kickboxing faithful? This might be a viable match-up if it took place under MMA rules, but the current state of Silva’s career really makes this fight a gross mismatch under kickboxing guidelines. Silva is making his kickboxing debut against the best heavyweight kickboxer in the world. Verhoeven has won 13 straight under the promotional banner since 2013. He has victories over some of the top kickboxers in the world. Meanwhile, Bigfoot has lost eight of his past 11 MMA fights, with seven of those fights ending by way of knockout. If Silva was fighting in MMA, he would at least have the option to tie-up, wrestle and potentially take advantage of the grappling aspect of the sport. Under kickboxing rules, though, Silva can only do so much to defend himself from the potential onslaught. Depending on the referee, Silva could survive by clinching or grabbing onto Verhoeven as he gets into punching range. However, that could likely be his downfall, just like it was for Benjamin Adegbuyi, the clear No.2 in the world, at GLORY 26. Verhoeven has dominated the heavyweight division for four years. His lone defeat came against fellow top-10 fighter Andrey Gerasimchuk. His wins over Badr Hari, Daniel Ghiță, Mladen Brestovac, Gökhan Saki, Peter Aerts and Errol Zimmerman have gone a long way in proving Verhoeven is the best heavyweight in the world. If the promotion wants to make super fights to finish out his career, why is the promotion picking from a pool of MMA fighters instead of the top-caliber heavyweights? Jamal Ben Saddik was injured and couldn’t compete in this timeline, but maybe heavyweight contender tournament winner D’Angelo Marshall would have been a more viable option than Bigfoot. If GLORY wanted to feature an MMA super fight to progress Verhoeven’s career as a multi-sport athlete, it could have easily made this bout under MMA rules. The promotion is holding a Sanda bout on the card after all, and many kickboxing promotions have held MMA bouts in the past. This route was less likely because the promotion wants to keep its star in the kickboxing world, not headed down the same path as the aforementioned Saki has taken in the UFC. Verhoeven is a 70-to-1 favorite right now. That is clearly enough evidence that this fight is a huge mismatch. Verhoeven stops Silva within two rounds. The featherweight tournament features two fighters — Chenchen Li and Chenglong Zhang — from the host country. Does either man capture the tournament crown? Li made a splash in his GLORY debut with a “Knockout of the Night” performance against Terrance Hill at GLORY 43. The young Chinese prospect face-planted Hill with an overhand right in the opening bout of the evening. Li has a following in China, but he has tasted defeat when facing the top-tier talent available, including former Lumpinee stadium champion Singdam Kitamuu9 and former Rajadamnern stadium champ Singmanee Kaewsamrit. 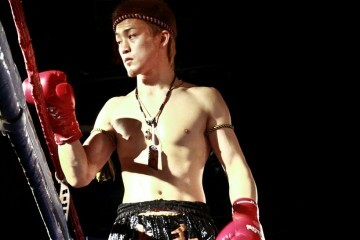 Li takes on Japanese kickboxer Masaya Kubo, who has hit a rough stretch. Kubo has 16 victories and eight defeats. He found his way to China in recent years, including a recent defeat at the hands of fellow tournament participant Zhang. Zhang, 20, comes from a long line of martial artists. 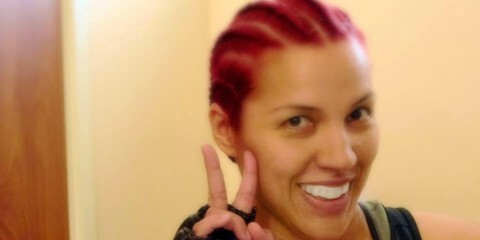 His elder brother is a fighter, his father was a boxer, and his grandfather was a martial-arts competitor. The Chinese fighter kicked off his GLORY career with a decision victory over Cape Verde’s Wilson Sanches Mendes at GLORY 41. Zhang’s southpaw style has helped him throughout his career against big-name fighters like Singdam and GLORY veteran Victor Pinto. Zhang most recently beat Valerii Abramenko at Em-Legend 20 in July. Quade Taranaki, 22, will hope to end Zhang’s rise in his adopted home. The Kiwi fighter made the move to fight in China and Thailand to take his game to the next level. In March, Taranaki won his first title at Knees of Fury 63 with a thrilling comeback knockout of Charles Opoku. Taranaki has continued his journey in China with victories in Emei Legend. This tournament field may be one of the weakest in the promotion’s history. 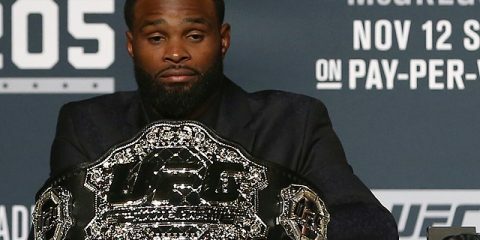 However, there are some fighters who could prove their potential with two wins in one night. Taranaki is going to push Zhang for a spot in the finals, and that fight will be one of the best contests of the night. Li should be able to outwork Kubo over three rounds without a potential finish happening late. If the Chinese fighters collide in the final, Li will take advantage of a bad habit of Zhang’s to step forward from the southpaw stance, opening himself to the counter strike.